Entrance, originally uploaded by stevenn. 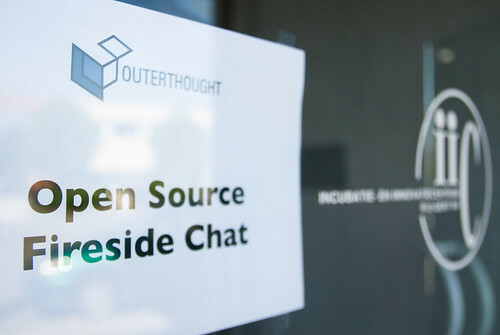 Thank you Outerthought for all the kind hospitality and for hosting the first fireside conversation. The event was a great success (pictures) with a fantastic audience and thoughtful participation during the facilitated discussions. I have a feeling that there will be more events like these so be sure to register for the next one!